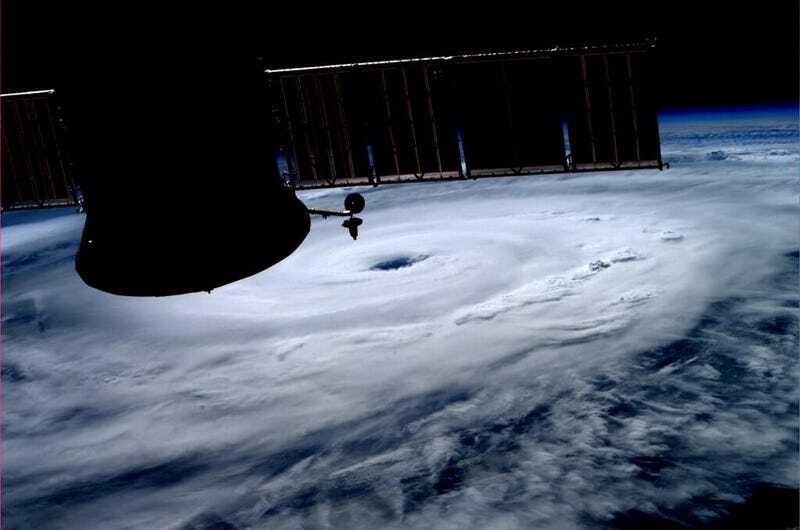 American Astronaut Reid Wiseman shared this stunning image of Hurricane Arthur, which he captured this afternoon while flying aboard the International Space Station. This evening, Arthur is scraping it's way up the eastern seaboard, and is expected to become a category 2 storm. Thunderstorms spawned by Arthur are causing air traffic delays topping four hours at the NYC area airports. In the US Navy, Wiseman flew F-14 Tomcats, and has also worked with F-18s and the F-35 Lightning II. He's received medals for his combat experience and skill. He joined the ISS crew as part of Expedition 41 on May 29th of this year.